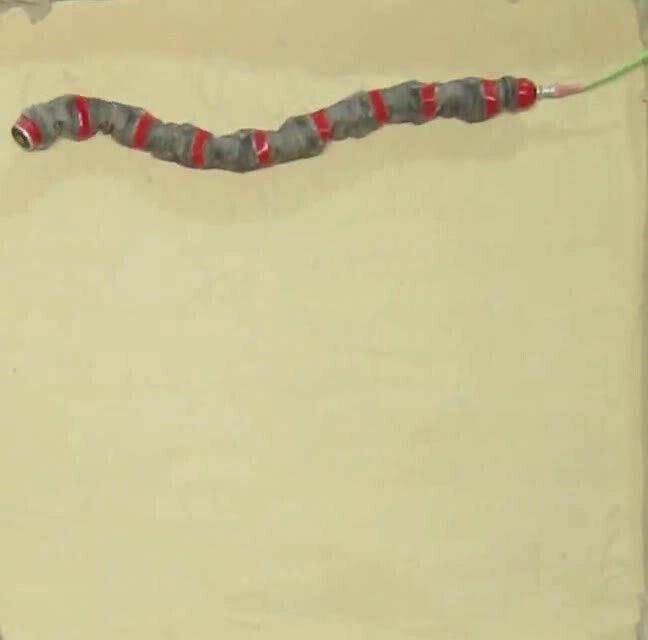 Researchers at Carnegie Mellon University who develop snake-like robots have picked up a few tricks from real sidewinder rattlesnakes on how to make rapid and even sharp terms with their undulating, modular device. Working with colleagues at the Georgia Institute of Technology and Zoo Atlanta, they have analyzed the motions of sidewinders and tested their observations on CMU's snake robots. 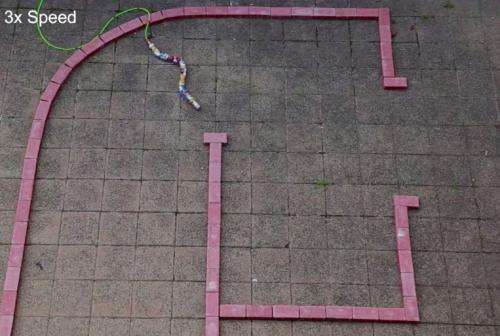 They showed how the complex motion of a sidewinder can be described in terms of two wave motions - vertical and horizontal body waves - and how changing the phase and amplitude of the waves enables snakes to achieve exceptional maneuverability. "We've been programming snake robots for years and have figured out how to get these robots to crawl amidst rubble and through or around pipes," said Howie Choset, professor at CMU's Robotics Institute. "By learning from real sidewinders, however, we can make these maneuvers much more efficient and simplify user control. This makes our modular robots much more valuable as tools for urban search-and-rescue tasks, power plant inspections and even archaeological exploration." Their findings are being published this week in the Proceedings of the National Academy of Sciences Early Edition. The work is a continuation of a collaboration between Howie Choset, CMU professor of robotics, Daniel Goldman, a Georgia Tech associate professor of physics, and Joseph Mendelson III, director of research at Zoo Atlanta. An earlier study, published on Oct. 10, 2014, in the journal Science, analyzed the ability of sidewinders to quickly climb sandy slopes. It showed that despite the snake's hundreds of body elements and thousands of muscles, the sidewinding motion could be simply modeled as a combination of a vertical and horizontal body wave. With the model in hand and with a method to measure the movements of living snakes, the team, led by Henry Astley, a postdoctoral researcher in Goldman's group, was able to observe that sidewinders make gradual changes in direction by altering the horizontal wave while keeping the vertical wave constant. They also discovered that making a large phase shift in the vertical wave enabled the snake to make a sharp turn in the opposite direction. Applying these controls to the robot allowed the robot to replicate the turns of the snake, while also simplifying control. "By looking for insights in nature, we were able to dramatically improve the control and maneuverability of the robot," Astley said, "while at the same time using the robot as a tool to test the theorized control mechanisms of biological sidewinders." 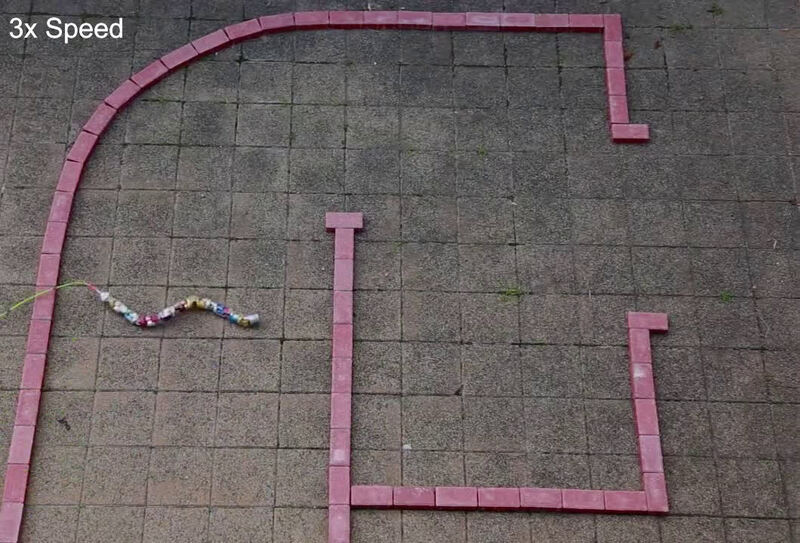 The modular snake robot used in this study was specifically designed to pass horizontal and vertical waves through its body to move in three-dimensional spaces. The robot is two inches in diameter and 37 inches long; its body consists of 16 joints, each joint arranged perpendicular to the previous one. That allows it to assume a number of configurations and to move using a variety of gaits - some similar to those of a biological snake.